For nearly 23 years, Mitch Levy hosted one of the most successful and longest running morning-drive sports radio talk shows in America. Outspoken and unafraid analysis loaded with humor and unparalleled interviews. Please join us as we embark on an exciting and somewhat mysterious new journey. Become a monthly "patron" to support the show and enjoy access to not only regular scheduled episodes but BONUS podcasts as well. Goodbye terrestrial radio. Hello podcast world! 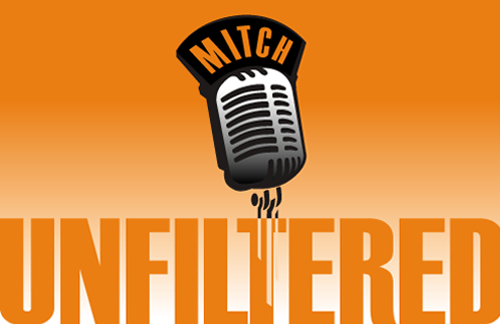 Find new episodes of Mitch Unfiltered on your favorite podcast platform every Monday and Thursday! Exclusive unscheduled shows for Patron's will be available on this website! If you enjoy Mitch Podcast's consider supporting the show by becoming a Patron! When you become a patron you will be granted exclusive access to unscheduled Mitch Unfiltered bonus shows! Mitch Levy has spent nearly 30 years in the radio business. Growing up in South Florida, he always desired to be around sports. “It didn’t take long for me to come to the realization that I wouldn’t be capable of making a living playing, so the next best thing was sports broadcasting,” he says. While watching Howard Cosell describe the 1976 Summer Olympic boxing events, a 9-year-old Mitch Levy was hooked. It was off to Syracuse University’s S.I. Newhouse School of Public Communications in 1985 and he never looked back. In 1992 Mitch Levy was hired as the midday producer of the first all-sports radio station in Washington, D.C., WTEM. The opportunity to help launch the station was an unforgettable experience. Mitch produced The Tony Kornheiser Show followed by The James Brown Show. Kornheiser and Brown were stalwarts on the Washington sports scene. “Two weeks before the station went on the air, I met with Tony and he sternly warned me to NEVER book an athlete on his show. ‘They have nothing to say that interests me,’ Kornheiser said. “Then JB waltzed into the office and prompted me to ONLY book athletes. Needless to say, I didn’t mix up which guests were for which show!” Mitch also worked as an on-air sidekick on the shows, which gave him an opportunity to work on impressions, comedy, and timing. In 1995 Mitch took his first regular hosting job – crossing the country to Seattle, Washington. KJR Radio debuted Mitch in the Midday on January 15, 1995, and one year later, Mitch grudgingly accepted the morning-drive show because “my agent threatened to walk out on me if I didn’t grab the most important time slot in the business.” For 23 years Mitch was a preeminent sports voice in Seattle. Mitch in the Morning was annually recognized as one of the top sports radio shows in the country.